Dani, all over the world the Matterhorn is a symbol for Switzerland. How do you see this mountain? Or in other words, what does it mean to you? In terms of shape, it is one of the most beautiful mountains. Climbing it, is okay, but not very special. The rock often is not solid. 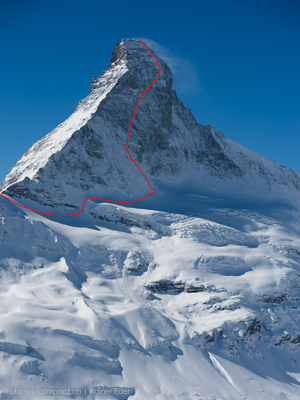 150 years ago, the Matterhorn was first climbed by the roped party of the Briton Edward Whymper. How do you value their performance, taking into account the equipment from then and considering that the group climbed into the unknown? Of course it was an impressive performance. Respect! The first ascent ended tragically: Four climbers fell to death. Did this disaster establish the myth of the Matterhorn? I think so. Mostly tragedies and accidents are the reason that mountains get mythical. Actually, it’s in some way weird, that something has to happen before the public takes notice. The Matterhorn is a commercial mountain. 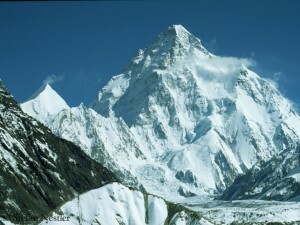 About 3,000 summit aspirants per year try to climb it. 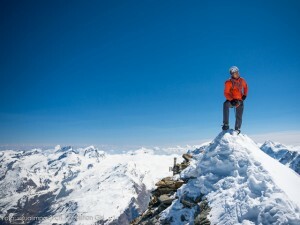 Does the Matterhorn share the fate of other prestige mountains like Mont Blanc or Mount Everest, attracting people who actually do not belong there due to their lack of climbing skills? It already belongs to this category of famous mountains that attract many people simply because of its name. And thus there are many climbers who actually have no business to be there. Not a year passes without fatalities on the Matterhorn. Does it make sense to limit the number of ascents? No, the important thing is that mountaineering has to remain free. That means, anyone can climb where he wants. This is a huge privilege. But everyone has to bear the consequences himself. Is climbing the Matterhorn, especially via the North Face, still a classic that should not miss in the career of a professional climber? Last April, you set up a new speed record on the North Face. You climbed the wall on the route of the first ascent by Franz and Toni Schmid (1931) in a time of one hour and 46 minutes, thus being ten minutes faster than Ueli Steck. Have you reached your limit or is it possible to climb the wall even faster? 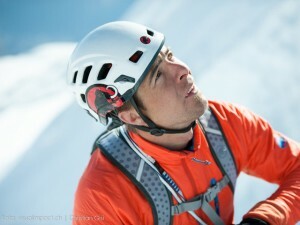 In 2010 and 2011, the Italian climber Hervé Barmasse opened two new routes on the Matterhorn South Face. But such first climbs are seldom. Is the Matterhorn largely exhausted? Is there next to nothing to do for climbers? I do not believe that. The obvious lines have been climbed. But there is still a lot of room. 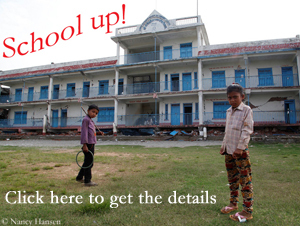 Many think that you can experience extraordinary things only in the Himalayas. But that’s not true. If you could make the Matterhorn a present for the 150th anniversary of its first ascent, what would it be? P.S. : That was the last part of my little Matterhorn series. Some records just happen by themselves. Like the one of Kami Rita Sherpa on Mount Everest. 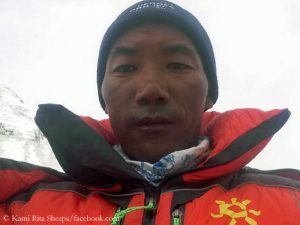 If the 48-year-old reaches the summit of the highest mountain on earth at 8,850 meters this spring as a team member of the Nepalese expedition operator “Seven Summit Treks”, he will be the sole record holder. “In terms of safety a 20- or 30-meter highline is comparable with climbing in the sixth or seventh grade,” Heinz Zak told me some time ago. 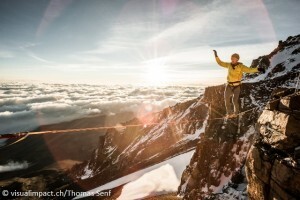 The extreme climber, photographer and filmmaker from Austria is a slackline pioneer in Europe and a recognized expert in balancing at dizzying heights. If I were a road planner, I would say: This smells like traffic jam. More than 100 climbers from eight expeditions have signed this summer for K 2, with a height of 8,611 meters the second highest mountain on earth.